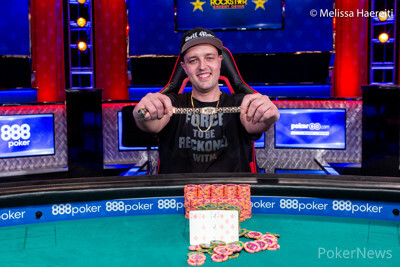 David Brookshire already had a World Series of Poker Circuit ring on his résumé and now he has a WSOP gold bracelet to add to his mantle, winning Event #46: $2,500 Mixed Omaha Hi-Lo 8 or Better/Seven Card Stud Hi-Lo 8 or Better for a first-place prize of $214,291. 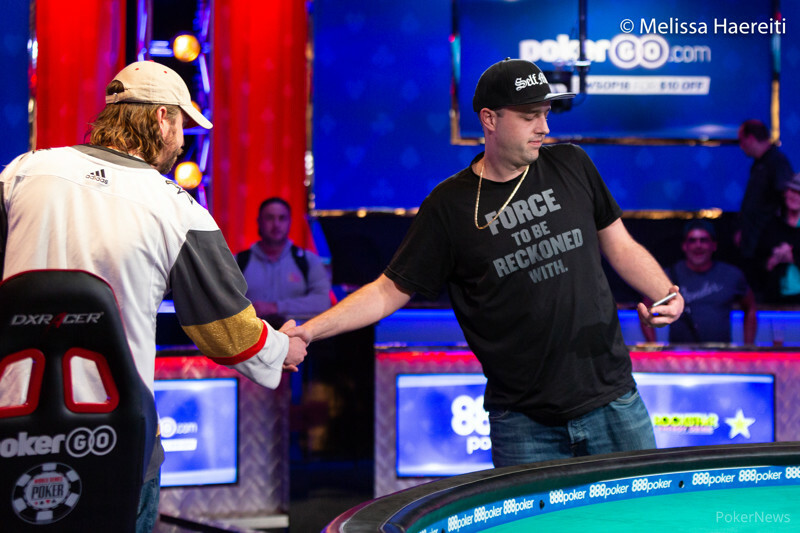 Brookshire denied Brandon Taylor his second bracelet after a fiercely contested heads-up battle, where he battled back from an 8:1 deficit in chips. The man from Baltimore, Maryland scored a key double up when he was freerolling for a scoop. With the low already locked up, he held four to a flush and slowly peeled his final card. He turned over a heart, giving him the double up that paved the way to his comeback victory. "It's really emotional. It feels so good to win after Brendan had an 8:1 chip lead on me, and then coming back. Kind of felt like he had it in the bag and was praying real hard inside while I was playing. I felt really blessed to be able to make a comeback and pull out the win," Brookshire said after his stunning comeback. 402 players took part in the event and after 10 levels of play on Day 1, Brookshire bagged a below average stack, ranking 106th of the 152 returning players the following day. It was a much different story on Day 2, however, as Brookshire steadily rose up the counts before seizing the chip lead after the dinner break when about 30 players remained. By night's end, Brookshire was ninth in chips out of the 15 players that were set to return on Day 3. The first level of Day 3 saw Brookshire slide a bit, but in the second level he began to make his move up the leaderboard. 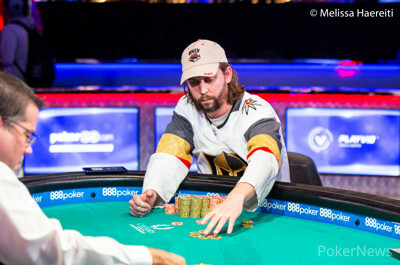 By the time the players converged to one table, Brookshire was second in chips and maintained a comfortable stack. However, eventual runner-up Brendan Taylor soon began to seize control. Together, they held more than half the chips when six players remained, but Taylor went on a heater from there and soon held half the chips own his own when the field was down to five players. It was at this point where Brookshire, who was second in chips, had to adjust his strategy. Taylor held more than 31 big bets while the remaining players held a combined 19. While Brookshire was second in chips, one misstep could have meant a fifth-place finish. "He (Brendan Taylor) had the chip lead and was very good at leaning on the shorter stacks. He was making a lot of raises regardless of what his cards were and he was playing really well. There were a lot of hands I really wanted to play tonight, but I had to fold just because I wanted to hold my chip position. The pay jump is so different between fifth and second, and me being second in chips there were numerous times I had to lay down amazing hands that I really wanted to play just because of the stacks and the pay jumps." 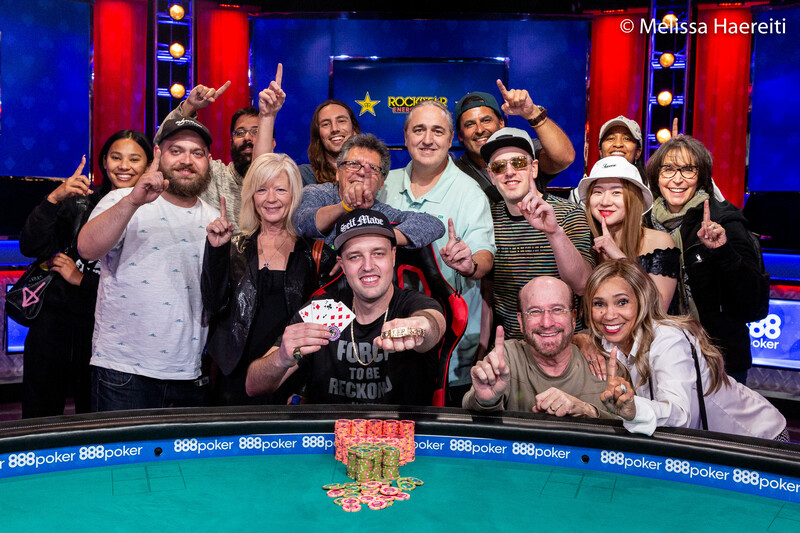 Taylor eliminated Tyler Groth in fifth place and Ian Shaw in fourth place to extend his lead, while Brookshire eliminated 2018 bracelet winner Daniel Ospina in third place to set the stage for heads-up play. Brookshire was down more than 3:1 in chips and soon found himself down 8:1. The key scoop put him back in contention, and he never looked back from it. As for his plans going forward, Brookshire hopes this win is the first step in more successes to follow. "This is a great event. I love all the mixed-game events here, and now I'm going to have a bankroll to play them for the next few years. Hopefully, I'll be able to run it up. There's a lot of events I've missed because I can't afford to play them, and that's going to change right now." From the button Brendan Taylor raised. David Brookshire called from the big blind. "Let's see a flop," Brookshire said. The flop was and Brookshire checked. Taylor bet. Brookshire made it two bets. Taylor made it three bets. Brookshire made it four bets and Taylor called all in for less. Taylor flopped two pair, but Brookshire flopped the nuts with a straight. Brookshire needed to fade the board pairing to lock up his first bracelet and he did on the turn and the river. That meant that Taylor would be eliminated while Brookshire took down Event #46 winning $214,291 and his first gold bracelet. For his second-place finish, Brendan Taylor collected $132,443. Brendan Taylor raised from the button, David Brookshire reraised from the small blind, Taylor four-bet all in for 230,000 and Brookshire called with . Taylor held . The board ran out , giving Taylor Broadway to double up. Brookshire ended up making two pair, but Taylor locked up a low and a flush and he would double. Brendan Taylor was the bring in, David Brookshire completed and Taylor called. Taylor bet with the onboard lead on fourth street, Brookshire called and Taylor checked on fifth street. Brookshire bet, Taylor raised and Brookshire called. Both paired on sixth street, Taylor bet, Brookshire called and Taylor bet on seventh street. Brookshire raised and Taylor winced as he called. "Full house," announced Brookshire, who tabled for tens full of sixes. Taylor mucked and Brookshire took a massive lead. On the button, Brendan Taylor raised and David Brookshire called in the big blind. The flop was and Brookshire led out with a bet. Taylor called. On the turn, Brookshire led out again. Taylor called again. The river was the . Brookshire bet a third time. Taylor called one more time but mucked when Brookshire showed for two pair, kings and nines. Brendan Taylor raised from the button and David Brookshire called from the big blind. The flop came down , Brookshire bet and Taylor called. The turn was the , Brookshire bet and Taylor called. The river was the , Brookshire bet and Taylor folded. Brookshire showed for sixes and fours as he collected the pot. Players are now on a 15-minute break and will return shortly.